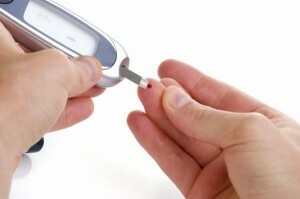 You Ask, I Answer: Omega-3s Increase Type 2 Diabetes Risk? What are your thoughts on the reported link between omega-3 intake and type 2 diabetes recently published in an article featured in the American Journal of Clinical Nutrition? The AJCN is a well-respected, top-of-the-line journal, so it is no surprise that many of its studies resonate all over the Internet. I have to thank you for explaining the differences between omega-3 fatty acids so clearly. Now, when I read about ALA, DHA, and EPA in books and magazines, I know what is being discussed! I still have one nagging question. How do you know if you have an omega-3 deficiency? I know that some vitamin deficiencies cause hair loss and fatigue. So, are there any warning signs that you need more omega 3 fatty acids in your diet? Also, what happens if someone gets enough of one type of omega-3 fatty acid (like DHA) but another (like ALA)? Mild fatty acid deficiencies usually do not manifest as physical symptoms. Moderate deficiencies are a little easier to spot. Tell-tale signs include dry and scaly skin, liver complications, and, in young children, stunted growth. Complete — or “true” — deficiencies are very rare and only seen in instances of extremely restrictive diets. The main concern from insufficient omega-3 fatty acid intake is that, most likely, it means you are consuming a higher amount of omega-6 fatty acids. For information on why this is problematic, please read this post. Although ALA can be converted to DHA and EPA, some complications can arise. This is why diets that meet DHA and EPA needs but not ALA needs are more protective than those which meet ALA needs sufficiently, but fall short with DHA and EPA. Whenever possible, try to get your omega-3 fatty acids from food, rather than supplements. These foods also contain vitamins, minerals, and/or phytonutrients that work synergistically and enable the omega 3s to work more efficiently. This is not to say omega-3 supplements are a waste of money — they are not. Adults in Japan consume approximately 7.5 times as many DHA and EPA omega-3 fatty acids per day as their United States counterparts. That can certainly help explain why, compared to the United States, Japan has a 40 percent lower rate of deaths from cardiovascular disease and a 70 percent lower rate of deaths from coronary heart disease! 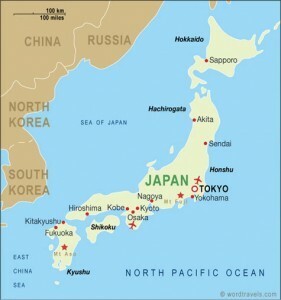 Japan, however, happens to have the hands-down-highest global per capita consumption of sea vegetables. Not only are many sea vegetables excellent sources of omega-3 fatty acids; they also contain phytonutrients and antioxidants that help lower the risk of developing heart disease and various cancers. This is why I strongly support the “Mediterrasian” style of eating, which takes heart-healthy cues from traditional Mediterranean (i.e. : olive oil, legumes, nuts, and seeds) and Asian dietary patterns (dark leafy greens, fatty fish/sea vegetables). Numbers Game: Omega-3s For The Win! 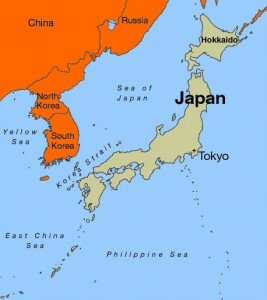 Adults in Japan consume approximately ____ times as many DHA and EPA omega-3 fatty acids per day as their United States counterparts. Leave your guess in the “comments” section and come back on Wednesday to find out the answer. I saw your recent tweet reminding vegetarians and vegans to supplement their diets with Omega-3 supplements that contain DHA and EPA Omega-3 fatty acids. 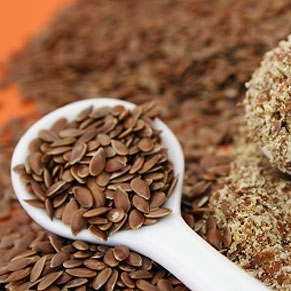 I would rather not take a pill, but can eat ground flaxseeds – how much do you think I should consume each day? Otherwise, do you recommend a particular vegan omega-3 pill? The problem with relying on flaxseeds (or walnuts, for that matter) to get your omega-3 needs is that they only offer Alpha-Linolenic omega-3 fatty acids (ALA). The human body can convert ALA into docosahexaenoic acid (DHA) and eicosapentaenoic acid (EPA), the omega 3 fatty acids in fish oil. However, this conversion does not happen very efficiently, and it takes very high amounts of ALA to get the necessary amounts of DHA and EPA (we’re talking ridiculously high amounts — think 1,000 calories just from flaxseeds). This is not to say that the omega-3 fatty acids in flaxseeds and walnuts are useless. They certainly offer their share of health benefits and are worth including. However, I strongly encourage people with diets that are low in (or do not include) fish or sea vegetables — the only plant food that offers DHA and EPA — to supplement DHA and EPA. In your case, Christine, I recommend looking for supplements that contain DHA and EPA extracted from algae (which, by the way, is where fish get their omega 3s from!). While there are many brands out there, the one I am most familiar with is VPure (please note, I am not claiming this is the only “good” brand; simply the one I have come across most often). The term “vegetarian” on an Omega-3 capsule is by no means a guarantee; often times, that simply means it only contains ALA! Aim for 500 – 1,000 milligrams per day (EPA and DHA combined); ideally, you want at least 300 milligrams to come from EPA. 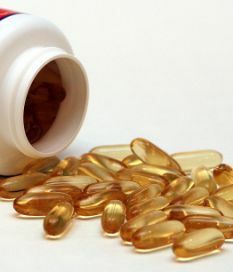 Is there anything in particular I should look for when buying fish oil supplements? Also, should I be worried about mercury levels? 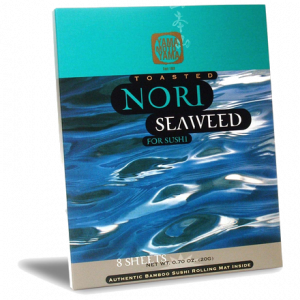 The main thing you want to look for is the presence of DHA and EPA (you want anywhere from 500 to 1,000 milligrams of each of those essential fatty acids). Oil from krill (small, cold-water crustaceans that live in the ocean floor) is apparently starting to be considered the golden standard in some circles since it appears to be the most easily absorbable, and also contains antioxidants not found in oil from fish. That said, oil from actual fish is just as good a source of those two fatty acids. Since fish oils are extracted from fish that are very low on the food chain (e.g. : mackerel, herring, sardines, cod), mercury contamination is not a concern. My rule of thumb is: food first, then supplements. If you can get your omega-3 fatty acids from eating fish, that is best. However, I realize there are some barriers. Some people do not like the taste of fish, others are vegetarian, and, as is the case with salmon, there is always the doubt of whether the fish you are eating is wild or farmed (farmed fish tend to have lower levels of omega-3 fatty acids). For those interested in eating their DHA and EPA, I highly recommend sardines. They are never farmed, so you can always expect a good dose of those two omega-3 fatty acids! Food For Thought — Literally! This is a perfect example of nutrient isolation gone awry. Does DHA play a role in cognitive health? It very much appears that way. Then again, so do vitamin C, vitamin E, folate, zinc, iron, and a variety of polyphenols and antioxidants. In other words — orange juice companies and blueberry farmers could, I suppose, also make brain health claims. As could the most sugary of cereals, for that matter, as long as it is fortified with the above mentioned nutrients. These types of health claims end up having very little meaning because they make up only portion of the total puzzle. Including one of these bars in a diet generally low in fruits, vegetables, and whole grains — and high in saturated fat and sodium — isn’t going to be much help. Yesterday I attended a talk given by an “applied clinical nutritionist” who works at a local pharmacy. She really advocated the use of supplements for everyone (probably because the pharmacy she works at generates a lot of revenue through the sale of herbs/supplements and homeopathic remedies). She recommended taking fish oil instead of flax because she said that flax requires an extra step to be processed by the body. She said that some people’s bodies aren’t able to perform this extra step and you would never know one way or another, so she just prefers to stick with fish oil. Since you often recommend flax, what are your thoughts? She also talked about “cleansing” (the colon in particular). Her recommendation wasn’t about losing weight, but rather to flush out toxins, no matter how healthy your diet. She said this is needed to flush out “toxins” that accumulate in our bodies from pesticides in food, air pollution, etc. 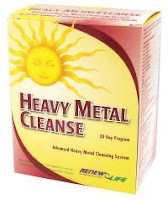 The cleanse involves eating certain kinds of foods (she wasn’t specific) and taking some sort of supplements that help flush your colon, like magnesium (I think). All of this sounded sort of unnecessary to me. Is there any evidence that this type of cleanse is beneficial for people whose diets are already consist of nutritious, whole foods? Before I begin, let me thank Kristin for following up her question with an e-mail revealing the results of her own investigative research. Turns out that acquiring the “applied clinical nutritionist” title is a simple task. “It’s a self paced certificate program through the Texas Chiropractic College. To earn the certificate, you must be a health care professional, or the staff or student of a health care professional (I suppose you could be a dental receptionist). You have to attend 7 seminars (100 hrs), take a test and pay $1400. In return, you get a shiny wall plaque,” writes Kristin. Sigh. Anyhow, onto Kristin’s question. As far as the fish vs. flax issue, I agree with the speaker, to a point. It is true that the Omega-3 fats found in flaxseed (ALA) need to be converted by the body to DPA and EHA. It is also accurate to say that the majority of people do not convert ALA efficiently. A significant factor inhibiting conversion is that Omega 6 fatty acids compete with Omega 3 fatty acids for the same desaturase (conversion) enzymes. Keeping in mind that our current food supply contributes an abundance of Omega 6, you can see why ALA –> DHA/EPA conversion isn’t happening as optimally as we would expect. That being said, I still recommend ground flax simply because most people don’t consume much of ANY Omega-3’s. I also hope that the speaker’s recommendation of taking fish oil supplements was mainly targeted at people who do not consume fish (or sea vegetables, which offer the same omega-3 fatty acids). I would much rather you get your DHA and EPA from actual food first, and consider supplements a “second best” choice. Furthermore, I hope she stressed that non-DHA/EPA sources of Omega-3’s offer a wide array of nutrients. Ditching walnuts and flaxseed and instead swallowing a spoonful of fish oil every morning isn’t necessarily a smart swap. What I COMPLETELY disagree with her on (and why I doubt she is an RD) is her colon cleanse recommendation. It is unnecessary and not particularly healthy. If people want to “flush out” their colons, all they need to do is consume more insoluble fiber and liquids. Plain and simple. Not to mention, I would love to ask this expert how, exactly, toxins accumulate in a body with a regularly functioning liver and kidneys. There is no evidence whatsoever supporting the belief that we need to cleanse ourselves of toxins. What I find most illogical is that people who furiously support colon cleanses apparently fail to realize that colon cleansing eliminates all the HEALTHY bacteria in the human gut and can cause electrolyte imbalances! If you’ll excuse me, I now need to go center myself. Do you know anything about Salba? It seems to be getting quite popular (I accidentally ordered a raspberry salba square at my local coffee shop the other day), and I’m not sure whether it’s a fad or not. Is it actually a whole food or is it processed? Is it as good as the makers of it claim? The folks at Core Naturals sure are working hard to hype up Salba. No clue what I’m talking about? Let me break it down. According to manufacturer Core Naturals, the salba seed is pretty much the greatest food ever created. Dubbed by the company as “nature’s perfect whole food,” the press release pushes it as a one-stop shop for some of the highest quantities of fiber, calcium, magnesium, vitamin C, folate, and Omega-3 fatty acids. That’s wonderful, but that’s simply what all soluble fibers do – the same ones found in oatmeal, fruits, vegetables, and nuts. Core Naturals even make reference to one nutrition PhD at a Toronto-based university who, after conducting research, confirmed that Salba’s advertised properties truly exist. Besides, there is something very suspect about having only one professional analyze your food. If Core Naturals is so sure that what they have is — for all intents and purposes — manna, why not send it out to a variety of independent food laboratories to have their goldmine validated? Anyhow, Salba is just a white chia seed – with the exact same nutritional profile of all other chia seeds (which are usually black). So, yes, it is an unprocessed whole food, in the same way that fruits, vegetables, nuts, and a plethora of other seeds are. That is a very easy statement to debunk, by the way. Remember, salmon offers EPA and DHA, two Omega-3 fatty acids not present in seeds. This situation with Salba and Core Naturals would be paramount to a company patenting Granny Smith Apples, calling them something different and claiming they were nutritionally superior any other apples. Considering that Salba retails for anywhere from two to three times as much as standard chia seeds, I don’t really see a reason for purchasing it. File it under “F” for fad. No, make that “FF” for… flimsy fad. I’m pregnant and my OB/GYN has suggested that I eat a lot of wild salmon for the health and nutritional benefits of the Omega-3’s. Only problem is, I gag at the smell and sight of fish right now. So I’ve been trying to use ground flax seed sprinkled in other foods I can manage, like yogurt, fruit salad, toaster waffles and cereal. I know the flax seed needs to be ground in order to be absorbed, but how much do I need to consume each day in order to get the same benefits as eating a serving of fish? Are there other good sources of omega-3’s that I should try? First of all — congratulations! 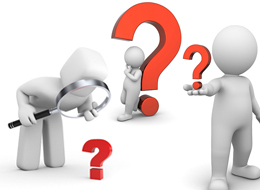 Your question is a great one, since it deals with the different varieties of Omega-3 fatty acids. Although we often refer to “Omega 3 fats” as one general category, there are three different types — Alpha-Linolenic Acid (ALA), EicosoPentaenoic Acid (EPA), and DocosaHexaenoic Acid (DHA). ALA is found exclusively in vegetable sources, including walnuts and flaxseeds. EPA and DHA, meanwhile, are found in large quantities in cold water fish. Grass-fed beef also contains a little. One concern with getting Omega-3’s solely from vegetable sources is that many people are unable to convert ALA to EPA and DHA. Even if you, as the mother, are able to convert ALA to EPA and DHA, you need approximately 10 grams of ALA just to make 600 milligrams of EPA and 400 of DHA. To put that into perspective, 1 tablespoon of ground flaxseed contains slightly less than 2 grams of ALA.
One tablespoon of flax oil, meanwhile, delivers 7 grams (one good way to incorporate that into your diet is by adding it into a smoothie). It’s also important to realize that as good for us as Omega 3 fats are, they do not work alone. Vitamin C, zinc, and magnesium are involved in the conversion of ALA to EPA and DHA. In your situation, I suggest taking an EPA/DHA supplement. That doesn’t mean you should stop eating ground flaxseeds, though — they are a nutrition all-star!